“Key Lime Cream & Yogurt Frappuccino®” which contains fresh lime-tasting custard and smooth yogurt – a great match, will be released from Starbucks Coffee Japan. This food item will be sold at all Starbucks throughout Japan (except at certain stores) from the 14th of July, 2017 (Fri.). 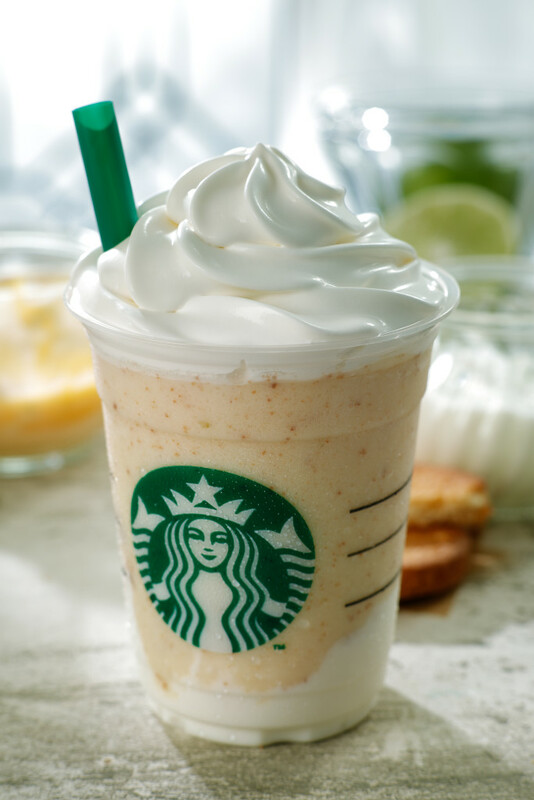 “Key Lime Cream & Yogurt Frappuccino®” is a fresh and creamy Frappuccino® which is tastes best on a hot sunny day. The drink has a rich texture of yogurt but also a freshness at the same time. The key element of this freshness is key lime juice and “Lime Custard Sauce” with uses lots of egg yolk with the smell of lime peel. The perfect combination of the sauce and the creamy yogurt which was created just for this drink is splendid. 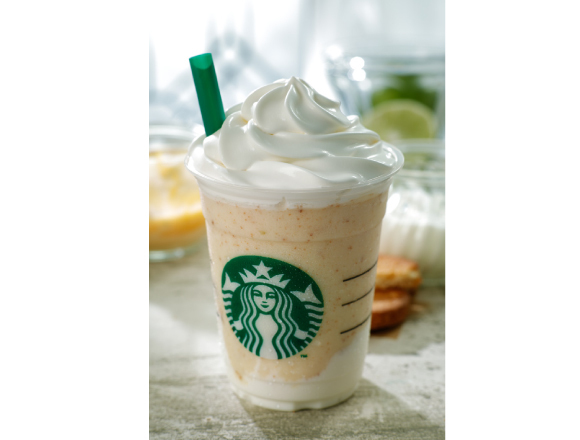 The “freshness” and “creaminess” can be enjoyed while drinking the drink with a straw and it is for sure that this Frappuccino® will make everyone want to come back for more. Let’s enjoy “Key Lime Cream & Yogurt Frappuccino®” when you are suffering from the summer heat. Related article：Juicy watermelon beverage to become Starbucks’“summer drink!” “Shaken Watermelon and Passion Tea” will be released soon! Related article：World’s First Traditional-Style Starbucks With Tatami Rooms to Open in Kyoto! Next » Starbucks® Cafe Latte, Doppio Espresso and Matcha Latte get an upgrade! Starbucks® Cafe Latte, Doppio Espresso and Matcha Latte get an upgrade!